Pour one out for arc mode. It’s been a well-known secret since iOS 9 that one of the best iPhone keyboards is made by one of Apple’s oldest competitors. But if you don’t already own a copy of Microsoft’s Word Flow, your window to buy one has closed. 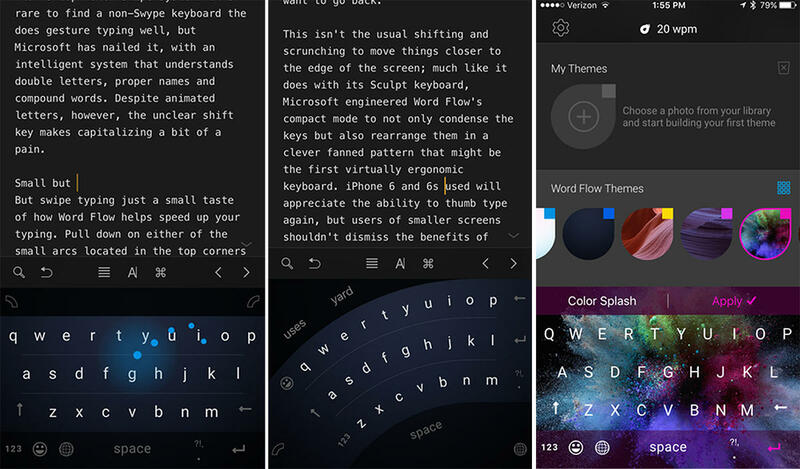 It was barely a year ago when Microsoft surprisingly released Word Flow, a free iOS version of its popular Windows Phone keyboard. Born out of its experimental Garage arm, Word Flow was built for one reason: speed. With swipe typing and a unique arched one-handed mode, Word Flow redefined speed typing on iOS and quickly rocketed to the top of the charts. But it was always meant to be an experiment and now, according to its product page, that experiment is “complete.” As such, the app is no longer available in the App Store, and presumably will no longer receive support or updates. Why this matters: There are hundreds of third-party keyboards in the App Store, but Word Flow’s loss will still be felt. While other keyboards such as Gboard offer one-handed modes—and even Apple is adding the feature into the stock keyboard in iOS 11—we’ve yet to use one that is quite as good as Word Flow’s. Here’s hoping that Microsoft quickly adds it to Swiftkey.